The Call for Proposals for the 2019 Tri-History Conference has closed. The Joint Planning Team will seek proposals for both a theme and location for June 2022 stating in January 2020. Presenting a proposal is not a commitment of the proposer to making it happen, but we would expect them to participate in and assist with the planning and implementation. If you'd like additional information as to what is involved in hosting the conference, please contact the Director of Operations. Papers being presented at Tri-History 2016 in Oneida, Wisconsin. 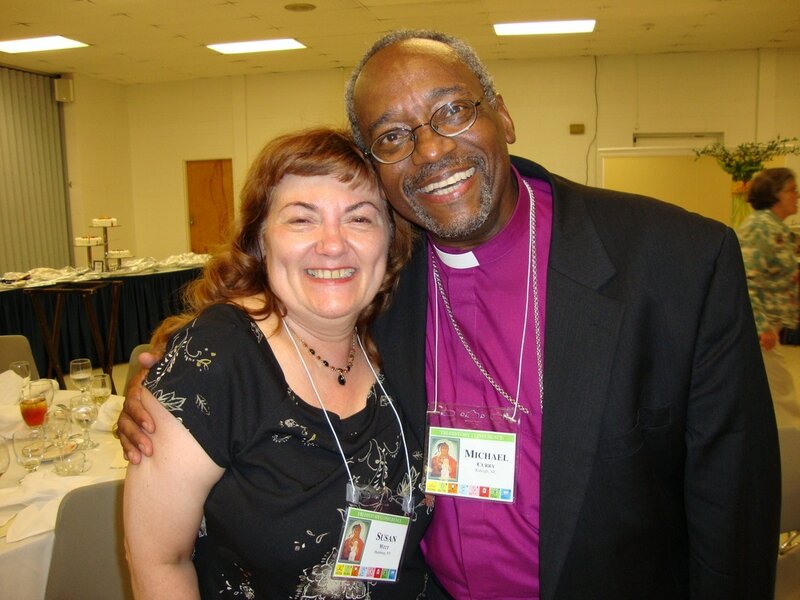 ​The Tri-History Conference, held every three years, is co-sponsored by three of the historical organizations of the Episcopal Church: Episcopal Women's History Project (EWHP); Historical Society of the Episcopal Church (HSEC); National Episcopal Historians and Archivists (NEHA). The purpose s to examine the unique heritage of the Episcopal Church within the boundaries of a selected topic area. 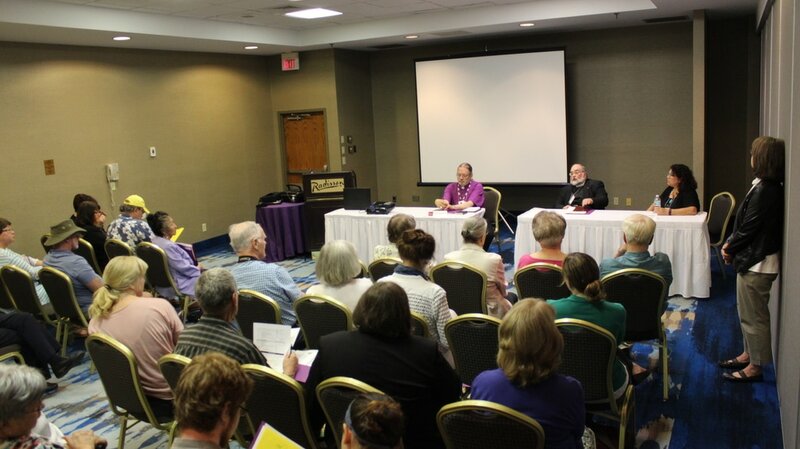 Activities often include presentations, academic papers, archival workshops, organization board and membership meetings, banquet, worship and off-site activities. Its length may be three or four days. ​The goals of the conference are 1) to honor all three sponsoring organizations with a program that reflects the common areas and various goals of each; 2) to provide a setting for introduction of new scholarship on a given topic area; and, 3) To provide an (inter-)national conference with (inter-)national focus while providing for a regional flavor. The conference is designed and implemented by a Joint Planning Team consisting of representatives from each organization and local planners. Fellowship at Tri-History 2010 in Raleigh, N.C.
Summary paragraph with a proposed title and theme. List of 3-5 (or more) topics possible topics within the theme that would make for presentations or papers. List of activities that could take place during the conference, both off-site visits and worship. List of 2-3 (or more) sites that could serve for housing and and/or meeting space to accommodate up to 150 attendees. List of local contacts to be used as resources by the Joint Planning Team.